Europe is a 'patchwork-like', diverse and complex business environment. Yet, it's traditionally the first place where innovative medical devices undergo clinical evaluation to be consequently commercialized. Successful entry in Europe is a key imperative for Medtech startups in view of their future valuation and their attractiveness to strategics. Failure is not an option. It is therefore of vital importance to select the right business model, to work with trusted and competent partners and to execute flawlessly in every single step from first in man clinicals to full commercialization. QUARTERBACK CONSULTING will help create a sustainable, attractive platform for Medtech startups in Europe, alleviating many of the roadblocks that are in the way to successful market entry. Provide executive support to Cardiovascular Device startups in their (pre-) commercialization in Europe. An extensive network of experienced professionals in Clinical Research, Heath Economics, Regulatory Affairs, Human Resoureces, Customer Service and logistics. 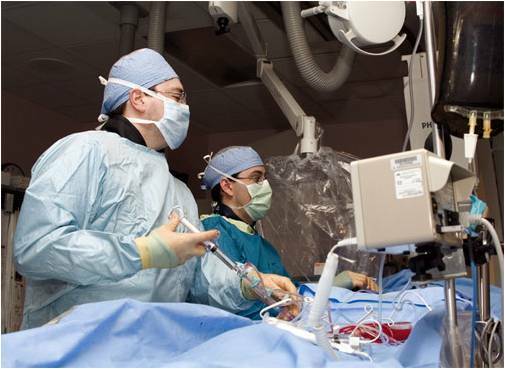 Strong connections with Interventional Cardiology, Endovascular and Neurovascular leading experts. "In American football, a quarterback is an offensive back, who calls the play, takes the ball from the center, and then passes to the right position."